Comprehensive and quality vein care has expanded in scope and expertise in the past decade. Although many physicians and surgeons may offer vein treatments, only a few have dedicated themselves to the sub-specialized field of vein care. Vein specialists are striving to develop newer and more effective techniques for treating varicose and spider veins. They are also devoted to discovering safer and more advanced methods of treating vein diseases without the risk, the hassle, and the cost of inpatient treatments. As technologies and techniques have advanced, the options have grown and become much safer than they used to be, and patients no longer have to live with awful leg veins and pain due to the fear of “terrible” vein stripping in the hospital. Vein specialists are now able to offer safe and efficient treatment options to their patients, performed in an office setting. 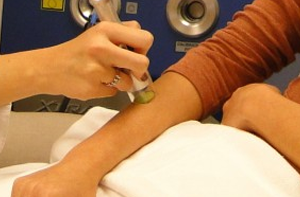 These treatments take less time and require less recovery time then undergoing a procedure. A vein specialist is an expert in the field of all things vein-related, called “phlebology” (“phleb-” or “phlebo-” in greek meaning “vein”, from the greek verb “phlein” meaning “to flow”). It is also the medical practice focused on treating vein diseases. Duplex Ultrasound Venous Physiology Study: Using a highly sophisticated ultrasound machine, a vein specialist should be a Registered Vascular Technologist capable of performing two tests: Vein Mapping and Venous Physiology Study (VPS). Vein Mapping will look at all important deep and superficial veins to understand the anatomy of the veins in the legs. VPS then determines which of those veins are abnormally functioning and harm one’s venous circulation in the legs. EVLT (Endovenous Laser Treatment): The use of a vascular laser to destroy blood vessels while avoiding damage to surrounding tissue, based on the ultrasound Vein Mapping and VPS. Phlebectomy: The surgical removal of large and medium sized varicose veins through the smallest possible puncture in the skin (1-2 mm). Sclerotherapy: The injection of medication into problem veins, which causes them to collapse and be absorbed into the body. A vein specialist would make certain that sclerotherapies are performed when there is no issue with the underlying venous insufficiency, which would make the spider veins return immediately if the underlying problem is left untreated. Advanced Wound Care: When a venous condition is advanced, it can cause significant leg and ankle skin changes such as venous stasis ulcer (open wound). 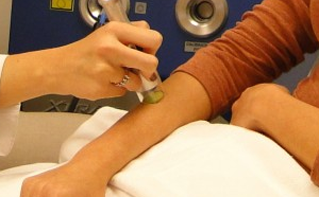 This sometimes takes advanced wound care expertise and techniques which should be within the knowledge base of a vein specialist. Vein problems that are left untreated can be painful and even life threatening if ignored for too long. The risks involved in vein problems stem from insufficient blood flow. If the veins are not functioning correctly, they can become congested and enlarged due to increased pressure inside the veins, called “venous hypertension”. A varicose vein is often very large and distended. A spider vein is often smaller and located closer to the surface of the skin. Treatment of the above symptoms will require a vein specialist who has the expertise in ultrasound Vein Mapping and Venous Physiology Study, years of experience in EVLT, phlebectomy, and sclerotherapy. If the disease is advanced, a vein specialist must also have ready knowledge of advanced wound care and the treatment of advanced venous stasis dermatitis and ulcers (open wounds). Today, there is no reason to live with untreated vein conditions that cause leg pain and swelling and discomfort. A vein specialist can reverse the conditions in a relatively safe, office environment without having to suffer the painful trouble of the historical vein stripping. Are you wondering which varicose vein or spider vein treatment is right for you? Give our informed Springfield, MA office staff a call at (413) 732-4242 or use the form below.